When ants or termites find their way into your home or office, they often bring with them whole colonies. Ants and termites wreak havoc on the wood structures of buildings, and their presence grosses out customers, residents and guests, especially around food. Smitter Pest Control offers ant removal and termite removal to rid your home or office of these hard-to-kill armies of pests. These pests come in large numbers, and with their nimble size, strength, ingenuity and ability to crawl just about anywhere in the house, it becomes very difficult to eliminate the entire population. DIY ant and termite removal rarely shows effective results, but a seasoned expert can trace down the colony and prevent the pests from coming back. The most prevalent ant in West Michigan, carpenter ants make themselves feel at home in moisture-damaged wood. Because of this, sinks, wall voids, kitchens and bathrooms make for popular havens for carpenter ants. With the sugary foods they love stored in most homes and offices, carpenter ants thrive and build their colonies inside the crevices of buildings all over West Michigan. The highly knowledgeable exterminators at Smitter Pest Control know how carpenter ants operate, and how to terminate them when they become a problem. Our proven kid and pet safe practices beat any DIY ant removal method, guaranteeing the extermination of pesky ants. 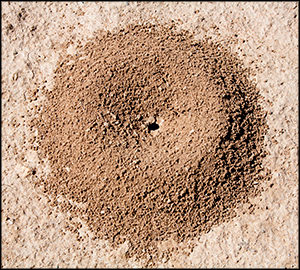 With thousands of species of ants, Smitter Pest Control exterminates more than just carpenter ants. 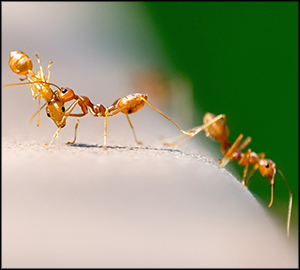 Each species of ant operates in different ways, but our highly trained exterminators know how to adjust and adapt for each job. Termites cause around $5 billion in property damage each year. With some species in West Michigan known for their large colonies of over a million members, each member with the single goal of eating wood, termite extermination remains an essential service for the safety of homes and offices. Since termites eat away at the foundation of your home or office, contact a professional exterminator as soon as possible if you believe your home holds termites. Look for wood damage throughout your property. 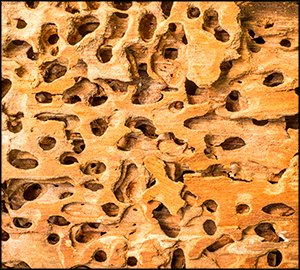 Termites tend to eat wood from the inside out, so tap on your wood structures for signs of an hollow inside. For more information on ant and termite removal from the experts at Smitter Pest Control, please contact us here or call us directly at 616.245.7215. Copyright © 2019 Smitter Pest Control. All Rights Reserved.